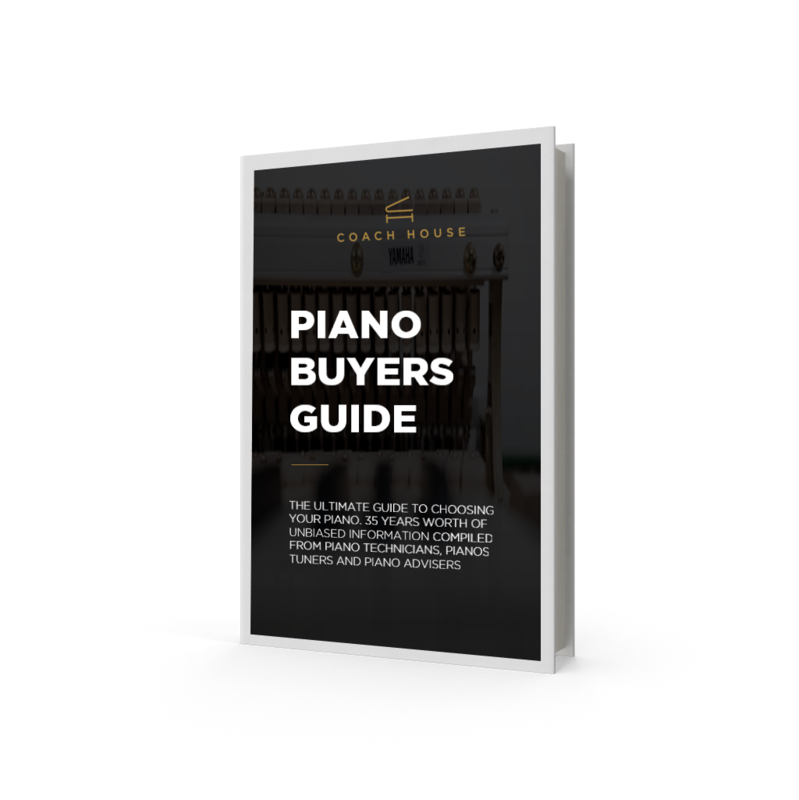 Coach House Pianos were contacted back in the early weeks of March 2018 by a New Zealand journalist who was requesting assistance with sourcing a Steinway & Sons grand piano. The initial enquiry was taken up by one of Coach House’s Showroom Consultants who worked with the journalist to find out exactly what the requirements were and what the piano was needed for. It turned out that the NZ journalist was a sibling from a family of three who were hoping to find the perfect gift for their father’s 80th birthday. As it happened, the three siblings were living in three different countries, the eldest in America, the middle, UK and the youngest, New Zealand. To make things a little complicated, the parents, whom the piano was for were living in Northern Ireland! Of course, the different time zones, locations and geographical challenges didn’t perturb Coach House in any way and they were able to make contact with all three family members to narrow down which model would be most suitable for what they imagined to be the perfect gift! Backwards and forwards with multiple Steinway models they had available, the three were able to settle on a Model O in agreement as a family because Coach House created very detailed and accurate video/audio clips which not only allowed each of the family members to view the piano aesthetically, but they were also able to have a very accurate depiction of the tonal colour and qualities because of the high standard of recording equipment used. It was very important that now they had selected their Steinway to come and view it to ensure it was the right one for them The youngest member of the family took the time to visit Coach House’s flagship showroom in May to view the piano they had agreed to buy. He was absolutely amazed at the condition and beauty of the Steinway O and even said that if he hadn’t known the age he would have thought it was brand new. Now, the next step was to ensure Coach House could deliver the piano on the birthday weekend to ensure the surprise was that extra bit special and memorable. As always, Coach House worked with their worldwide logistic teams to ensure a suitable day on the birthday weekend could be made possible – As it happened, the piano was delivered on the Bank Holiday Monday (the special day) when all the family were able to congregate at the parent’s property and welcome the simply stunning surprise as it was unveiled and installed into its forever home. In the meantime, the father and mother were blissfully unaware, enjoying a bit of time to themselves in the countryside of Castlederg. On the return to their home, they entered the property and were welcomed by the most magnificent Steinway & Sons Model O you could ever wish to meet. Simply stunned, the father of three stood speechless for two whole minutes whilst trying to get words together to express his joy and gratitude for one of the most special gifts ever given in the history of that family. It was once again that Coach House Pianos had turned a family’s dream in to one of the most amazing realities with this special Steinway Surprise – on reflection, there is no greater gift than the spreading of joy and happiness through musical gifts, which create and form memories for generations to come.